Taxes are a major issue on the minds of voters this election. Currently, Illinois is one of only eight states in the country with a flat income tax rate, meaning all Illinois citizens pay the same percentage of their income to the state. All of the Democratic candidates have expressed support for a progressive tax. If implemented, a progressive tax would mean a higher tax rate for individuals with higher incomes and a lower rate for individuals with lower incomes. Another major issue in this race is gun violence. Chris Kennedy, son of Robert F. Kennedy, and nephew of John F. Kennedy, has made his personal connection to gun violence a central part of his campaign. Candidates have also raised issues regarding sexual harassment and assault, responding to Illinois Speaker of the House Michael Madigan’s alleged mishandling of sexual harassment accusations in his office. Recently, Madigan fired several staffers, including top aide Kevin Quinn, for inappropriate behavior. Despite the firings, however, many Illinois Democrats say that Madigan has not done enough to end the environment of sexism in his office. Many Democrats, including Biss and Kennedy, have called for Madigan to step down. Madigan presents a unique issue for Democratic candidates, who are trying to distance themselves from the speaker. Daniel Biss continually accused Pritzker of being beholden to Madigan during the most recent debate at the University of Illinois at Springfield. On the right, incumbent governor Bruce Rauner is facing a serious contest from Jeanne Ives. Ives has attacked Rauner for his relatively liberal positions on social issues, such as his refusal to veto a bill that expanded Medicaid coverage for abortions. Candidates across both parties have attacked Rauner for political gridlock that has plagued the state throughout his tenure. Rauner came into office with a 44-point plan but has seen little success pushing any legislation through the state’s Democratic-controlled Congress. Recently, Rauner’s ineffectiveness has faced even more heat as he has struggled to resolve an ongoing outbreak of Legionnaire’s disease at a veterans’ home in Quincy, Illinois. The water-borne infection has killed 13 residents since the initial outbreak in 2015. A fourth outbreak was announced on Saturday. Rauner has resisted moving the elderly veterans out of the home. “Moving them increases significant risk for other infections and other physical ailments,” Rauner told reporters following the most recent outbreak of the disease. “We don’t want to increase the risk of damage to their health.” Rauner spent a week living in the veterans’ home to show that the facility’s water is safe. 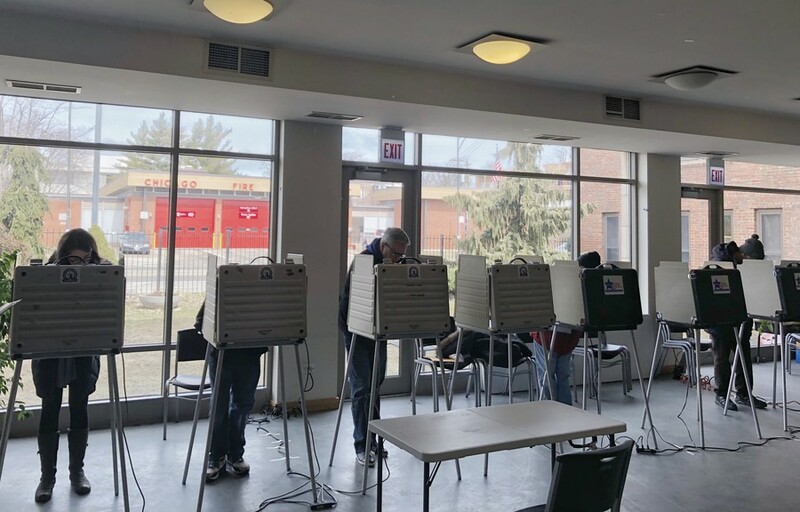 On Thursday, the Institute of Politics partnered with WBEZ and Politico to host the Democratic gubernatorial candidates in a public forum, held in the Performance Hall at the Logan Center for the Arts. The Cook County Board of Commissioners is the legislative body of the Cook County government. Cook County is divided into 16 districts, each of which elects a commissioner. Jerry “Iceman” Butler, Rock and Roll Hall of Fame inductee and former vocalist for the R&B group The Impressions, will not seek reelection after representing Hyde Park’s district since 1986. On their websites and in public statements, the candidates have addressed health care, taxes, education, and gun violence as the major issues in this race. Toni Preckwinkle, the president of the Cook County Board of Commissioners, is facing a serious challenge from 2nd Ward Alderman Bob Fioretti. Preckwinkle has been criticized for introducing a largely unpopular soda tax in the county. The tax charges a penny-per-ounce on every sweetened beverage sold in Cook County. Retailers in Cook County suffered greatly from the tax. According to an article from the Chicago Tribune, Costco reported that its locations within Cook County saw a 34 percent decrease in soda sales after the introduction of the tax, while locations just outside of Cook County saw a 38 percent increase. The Cook County Assessor is responsible for assigning values to the 1.8 million properties throughout Cook County. The property tax rate is applied to this value to determine how much each property owner owes the government. Although County Assessor races are usually low-profile, this race has garnered a great deal of attention. This is because the current assessor, Joe Berrios, has been under fire for how he has handled the county’s property valuation system. According to a WBEZ article, Berrios is accused of taking campaign donations from lawyers who have profited from his management style. Throughout his term, Berrios has set high property values, which many homeowners have said are disproportionate. As a result, some have hired lawyers to appeal their property valuation. Democratic challenger and businessman Fritz Kaegi has called Berrios out for accepting donations from property lawyers for whom Berrios has effectively made a huge demand. Berrios has batted off his critics by claiming that appeals aren’t the problem with the assessment system. He contends that individuals can handle their own appeals without the aid of lawyers. Berrios also argues that he needs to accept the donations because he, unlike Kaegi, is not a wealthy businessman. Kaegi has promised to reform the property assessment system to reduce the need for so many appeals. He claims that this will make for a fairer, more streamlined system. One more Democratic candidate will be on the ballot this primary—but votes for her won’t count. Andrea Raila, founder of Andrea A. Raila & Associates, Inc., a public policy and tax appeal consulting firm, collected the required number of signatures for her candidacy. However, many of these signatures were found to be invalid after Kaegi and Berrios challenged them. Despite being ineligible for election, Raila’s name has already been printed on the ballots for early voting. Any vote cast for Raila will not be counted. If property tax rates change as a result of this election, students on and off campus could be affected due to changing housing costs. Property owners would likely reassess how much they charge for rent. An earlier version of this article misstated the name of the incumbent Cook County Assessor. He is Joe Berrios, not Jim. The Maroon regrets this error. At Democratic Gubernatorial Debate, Pritzker Accused of Using "Language of Racists"
Challenged over his comments about African-American politicians, Pritzker accepted responsibility but remained confident in his support from voters.